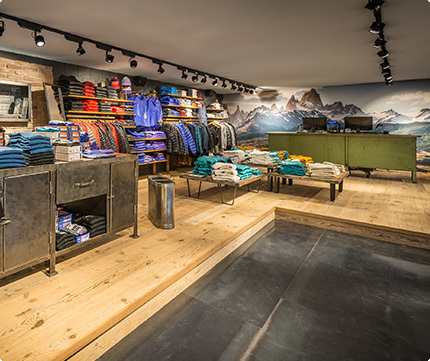 Our store is located in central Cortina, Via Cesare Battisti 2/4, only 100 meters on the left before the main Church. It is visible by car when passing on the one way street that crosses the town. A parking is located only a few meters away.